Dermalux® systems use only clinically proven wavelengths delivered at the optimised intensity and dose enabling effective photobiomodulation of targeted cells and skin tissue with proven results. Each wavelength of light is absorbed by a different target to stimulate specific skin enhancing processes. Rejuvenating Red light accelerates cell renewal and repair, boosting collagen and elastin synthesis for smoother, firmer skin. Exposure to Red light at 633nm is clinically proven to increase the body’s natural form of cellular energy (ATP) which in turn “kick starts” cells to regenerate faster. Red light is potently absorbed by fibroblasts increasing collagen and elastin synthesis and boosting natural hydration levels. It also improves blood flow for increased tissue oxygenation and the lymphatic systems to eliminate toxins. Red light offers immediate visible results; skin feels hydrated and plump and radiance is restored. Blemish fighting Blue light destroys the bacteria which causes spots and helps in the prevention of breakouts. Exposure to Blue light at 415nm interacts with the p.acnes bacteria creating a photodynamic reaction which results in bacterial destruction. It also helps to balance sebum production and improve skin clarity. 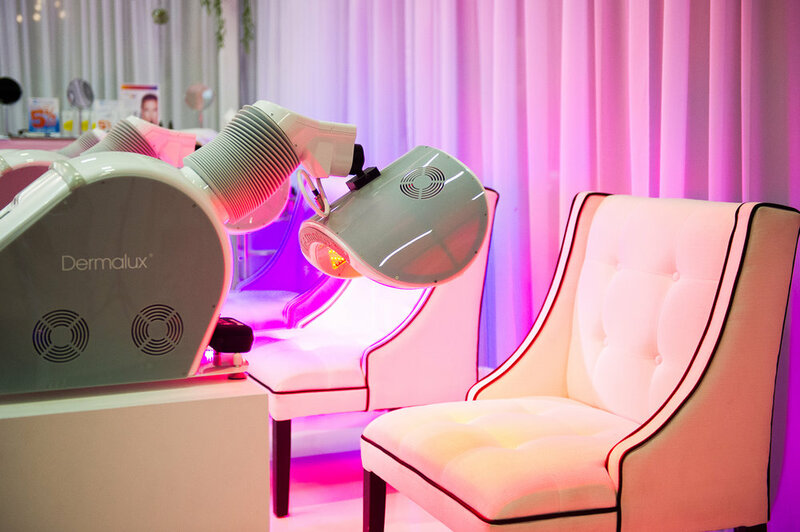 Applied in combination with Red and Near Infrared light, the Dermalux® Tri-Wave treatment offers enhanced anti-blemish results and is excellent as a post treatment procedure to help minimise breakouts and reduce redness. Exposure to Near Infrared light at 830nm triggers the skins anti-inflammatory processes to accelerate repair and reduce irritation and redness. Near Infrared light builds strength and integrity for compromised, environmentally damaged and sensitive skin conditions. It is also clinically effective in the treatment of age spots and hyper pigmentation.